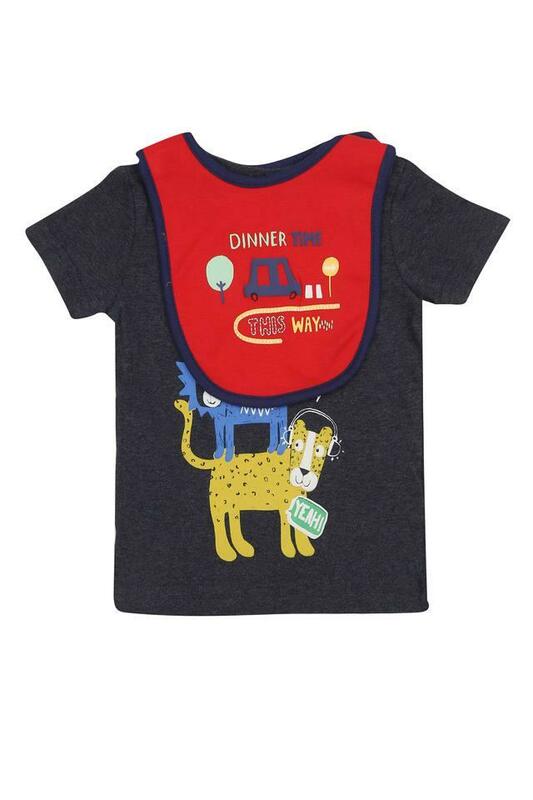 Your son will look adorable when he wears this tee with bib from the house of Mothercare. 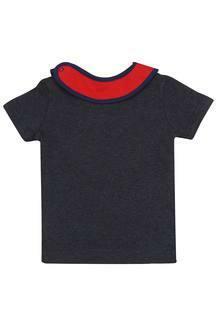 Made from a good quality fabric, it comes with a round neck and short sleeves, this printed tee with bib is comfortable to wear all day. Allow your little one to make a style statement by letting him wear this tee on any occasion. 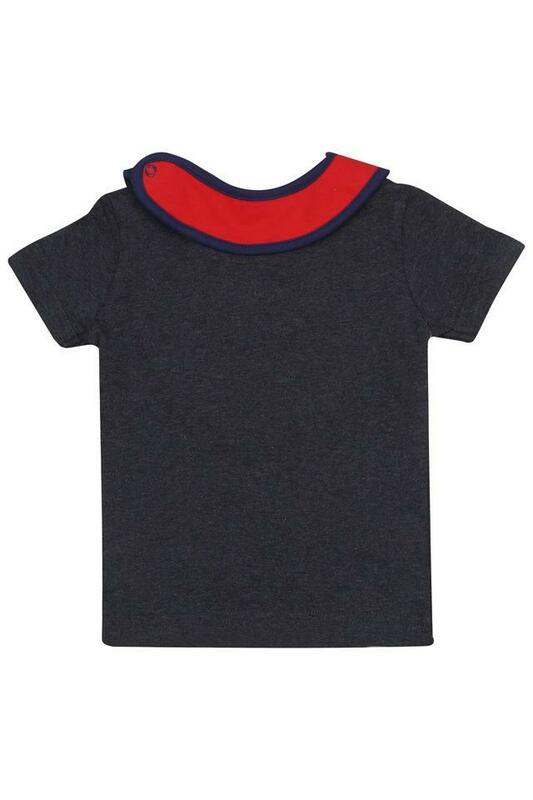 It can be worn with a pair of pants and shoes.